Packt is offering eBooks for $5. Become an Oracle PaaS & Middleware expert and get your Christmas present today. For details please visit the Packt website here. 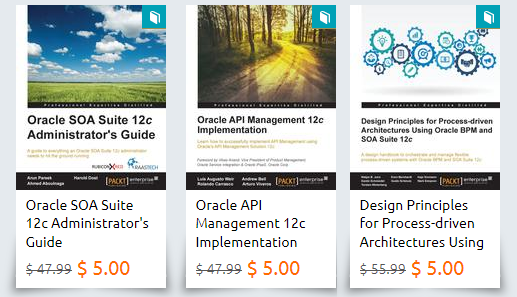 Find Oracle SOA books here and Oracle BPM books here.